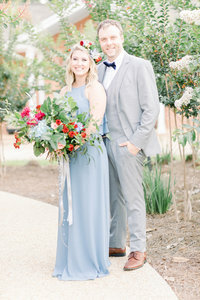 We fell in love with these two sweethearts from the moment they reached out to us about their summer wedding. Kind and gracious from the start, the beautiful story of their whirlwind romance left us all feeling like we’d just picked up a Nicholas Sparks novel. Colton and Anastasia both knew from the time they were children that they wanted to be doctors. Their love for medicine led them to the same college, where they met in biology class as freshman. But believe it or not, they didn’t like each other when they first met. It wasn’t until they both signed up for the same study abroad program that they developed a friendship, bonded over their love for helping other people—and fell head over heels in love. Now, three years later, they’ve tied the knot and are completely inseparable! It’s a good thing, too, since they both got accepted into the same residency program! 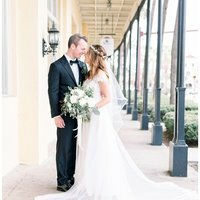 Colton and Anastasia, thank you for sharing your sweet love story with us and trusting us to capture your magical day! You two have such a bright future ahead of you and we’re so excited to see how you use your gifts to help people all around the world. 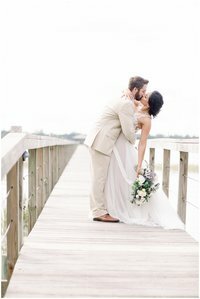 We can’t wait for you to see the rest of your photos, but for now, here are some of our favorites! The pictures are gorgeous! Keep up the amazing work.